Applying for Social Security benefits in Georgia can be a time consuming and frustrating experience. Georgia Social Security Disability, like every other state, is controlled by the federal government. Most claims for such benefits in Georgia are turned down by the Social Security Administration at the initial and reconsideration level. That is a plain fact. Before you file for benefits or consider representing yourself at a hearing before an Administrative Law Judge regarding your claim, please consider speaking to an attorney. 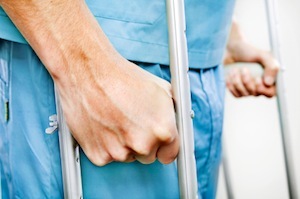 The Law Offices of Kevin C. Ford generally handle the disability claim from the beginning. Typically, services include scheduling the initial appointment with Social Security, filing all necessary claim forms, and taking an initial interview of the claimant. However, we are also able to commence legal representation at the Administrative Law Hearing level. A member of the staff will conduct a telephone interview. Topics covered include past work history, medical problems, medication history, health care providers, and educational background. If we are able to help you, a set of forms will be mailed out to you. These forms will aid in a subsequent face to face meeting to narrow the issues for claim determination. Social Security Disability benefits are generally available to persons who have a recent work history. Typically, a person needs to work at least five (5) of the last ten (10) years to be eligible for SSD. For disabled persons under the age of thirty-one (31), the requirements to be eligible for SSD are somewhat different. According to the Social Security Administration office, a “Disability” can be physical, emotional, or a combination of the two. In order to prove that you are disabled to the Social Security Administration office, you must have a Disability that is so severe that you have been unable to work in any regular paying job for twelve (12) consecutive months. The test to see if you are eligible for SSD benefits is not whether you can return to a job that you have lost, but whether or not you are capable from both a physical and emotional standpoint of doing a job that is regularly available in the workplace. Moreover, you need medical evidence from a doctor which proves that you are disabled. The process is complex and requires legal and medical proof which ranges from proper documentation to testimony before the judge. From a pure statistical standpoint, an applicant that is represented by a competent attorney has the better chance for being awarded SSD benefits. If you expect that your disability will last as least twelve (12) months, then you should file for benefits immediately and get the process moving. Remember, you are dealing with the federal government here and things take time. A common mistake potential claimants make is waiting months or years to make the initial application. The attorney receives compensation only if you win. Social Security law mandates that any fee agreement be approved by Social Security. As such, the attorney fee is capped by law at 25% of the back pay that is owed to you up to a maximum fee of $6,000.00. The fee is regulated by the Social Security Administration and Congress. Consequently, there is no negotiation on 25% fee. However, the fee is not charged or collected unless you win your disability claim. The Law Offices of Kevin C. Ford is currently accepting social security disability claims throughout Georgia. Please contact us today for a free consultation.